Let me be honest. As a child, I was a huge fan of Tony Toni Tone. I thought they were absolutely talented and they had extremely infectious music. From the moment I heard the upbeat yet slightly smooth vibe of "Feels Good", "It Never Rains In Southern California", and a number of other songs from the band, I was definitely a fan. 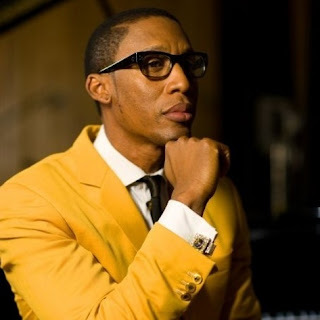 The leading star in this group and the most interesting artist had to be Raphael Saadiq, who was essentially the front man for Tony Toni Tone. He would be the lead vocalist, which in any group puts you as the most important part. While the rest of the group could sing and excelled with instruments, Raphael just had that it factor. He had some interesting beginnings, as his first shot in music came from being a part of Sheila E's backup band during the Prince Parade tour. Raphael got this opportunity at the young age of 18 and it was off to the races shortly thereafter. For nearly two years, Raphael would travel the world, playing music for thousands of Prince fans, providing him with an experience that would prove to be invaluable in the years to come as it prepared him for his own run musically. 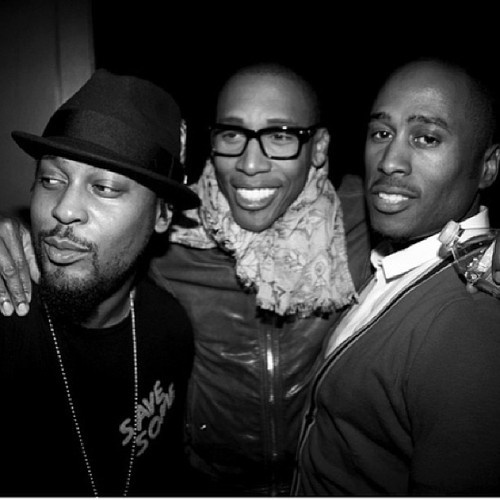 After the Tony Toni Tone run started, you saw Raphael needed his own space to create his own music and while he was shining as the lead vocalist of the group, it can be limiting to keep your vision subdued for the greater good of a collective. With this, we would see Raphael have some success with the hit song "Ask Of You", which was featured on the Higher Learning soundtrack. When you heard the song however, it sounded exactly like Tony Toni Tone, which was why I gravitated to the song and why I'm sure many others did. The sound to the layering of the vocals all felt like the group and not the mark of a solo artist. 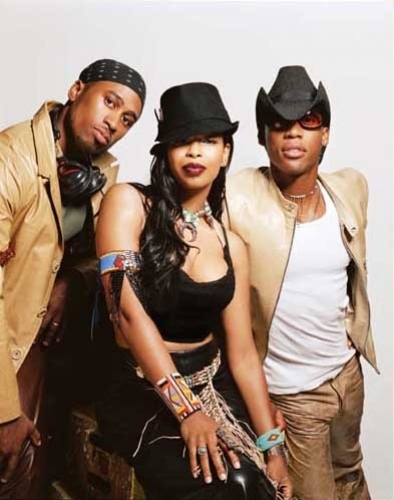 After the group went their separate ways in 1997, Raphael would start another project that was within a group capacity alongside former En Vogue lead singer Dawn Robinson and Tribe Called Quest producer Ali Shaheed Muhammad as Lucy Pearl. The music had a similar styling and rhythm to what Raphael had did before, but what made it blend so well was that production felt very Ummah like, and if you are aware of the Ummah, it is the production crew comprised of Ali, J. Dilla, and Q-Tip that was responsible for so many underground hip hop classics and a majority of the Tribe sound. Before the Soulquarians evolved from that, we praised the Ummah and Raphael was right there in the midst of that sound. The vibe of the Lucy Pearl album was something in this model, and though they split shortly after the release of the album, their single release is a testament to the genius of both Raphael and Ali, who had the most hands on experience with the production and creation. 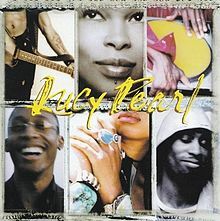 Though Lucy Pearl was short lived, their album, and most notably their hit single "Dance Tonight" is memorable in music. As a producer and writer for others, Raphael was able to work with some amazing talents, most notably to me, D'Angelo. Raphael helped produced and assist with writing on two of my all time favorite D'Angelo songs, "Lady" and "Untitled (How Does It Feel)", both successful singles. I've always felt that the signature sound from Raphael was very recognizable, as the drums on a track like "Lady" by D'Angelo and the drums on Bilal's classic "Soul Sista" both have those smooth guitar riffs atop the familiar drum patterns, but each song has its own special vibe. Most producers and songwriters aren't able to really enforce their signature sound, but Raphael has seemingly been able to do that time and time again. He's worked with a huge list of artists, writing and producing for names such as the aforementioned D'Angelo, Bilal, Mary J. Blige, Whitney Houston, Ginuwine, Snoop Dogg, Jill Scott, the list goes on and on. He would have a hand in crafting the third album of the British soul singer Jose Stone in 2007, as they were also rumored to be dating at the time. As far as Raphael and his solo music career, it would be 2002 when his solo music really picked up the pace and hit strong. 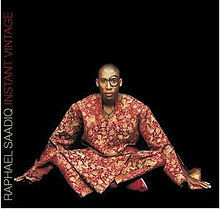 His debut solo album Instant Vintage was years in the making, and when it arrived in the summer of 2002, he came ready with enough funk and soul music to pleasure the ears of any fan. His first single was the D'Angelo featured "Be Here", which is a nice smooth soulful track that sets the tone for the album. The old school soul and funk style on the album teeters on the psychedelic side, and the title of the album allows you to know that he was paying homage to the classics with a new progressive spin on it. There's also a small element of gospel within the music too, which goes back to his roots in the church growing up. While the gospel vibe wasn't that heavy on this album, it is still present. However, if you're unfamiliar with the Instant Vintage album, make sure to check out "Be Here", "Still Ray", "Excuse Me" and "Different Times" from the Grammy Nominated underground funk and soul classic. 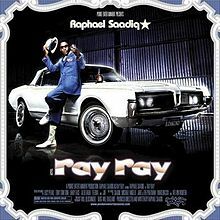 Raphael would continue his solo run just two short years later with another underrated album "Ray Ray", which sounds like a Blaxploitation soundtrack in present day form. After being dropped by Universal Records, he went on to form Pookie Entertainment and took his career into his own hands so to speak. It would seem odd that after dropping a critically acclaimed and Grammy nominated album that you'd get dropped from your label, but sales matter more than quality and accolades to the labels. Regardless of the setback, Raphael came with some solid music on his sophomore project, going for a more free flowing and fun vibe on this album than the creative goldmine he reached with Instant Vintage. He enlisted singers like Teedra Moses and Joi to help him on the album vocally, and even reunited Lucy Pearl and Tony Toni Tone for a track on this album. 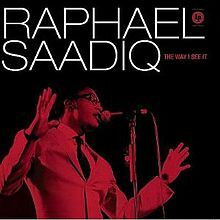 This isn't my favorite Raphael album, but it's a solid addition to his already great discography if you Included Tony Toni Tone and Lucy Pearl in it as well. In the years following "Ray Ray", we would see Raphael work with some of those names I mentioned earlier in addition to a ton of other artists who were top tier. Raphael was hard at work on another album in the process, sticking to his paying homage to classic music of the older years. He would end up gaining more critical acclaim and see his biggest moment as a solo artist with the 2008 release The Way I See It, which is my personal favorite album of his. The album would get music placed in multiple films, furthering his appeal as a solo artist and his success. Some would say working with so many artists before this album released increased his visibility and fan base and that's certainly possible. Whatever the case, Raphael would take this album and his success to the highest height, and he hit his creative peak with this one. Going back to my earlier statement on him infusing gospel and funk, Raphael would utilize these themes even more on this album, and also enlist some legends to give us that classic soul vibe, as evidenced on the Stevie Wonder assisted "Never Give You Up", which sounds like it came straight out of the 70s classic soul era, but just with a slight modern twist. The song "Love That Girl" can credited or discredited for being responsible for a TV One program of the same name some years later, but the song itself was very enjoyable. 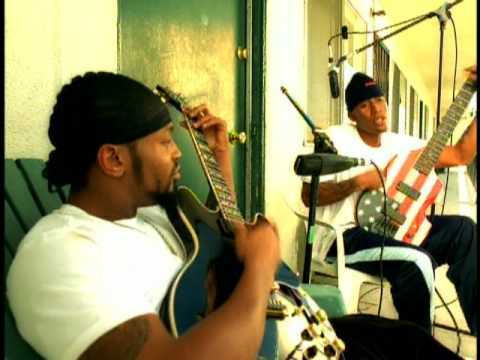 His collaboration with Joss Stone "Just One Kiss" was another highlight, as was the Chi-Lites inspired "Oh Girl", but my favorite songs here are the very bluesy sounding "Let's Take A Walk", which is equal parts soulful blues and raunchy funk and the inspirational slightly gospel tinged "Sometimes". This is where I think Raphael managed to break through even more, and as a result, he embarked on tours and would have even more anticipation for his following album, his last official release. 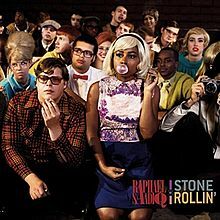 Raphael would go even further back in paying homage with his 2011 release Stone Rollin, which many people love, but I was a bit in the middle on this release. It's very good overall and the artistry is admirable, I just don't listen to this as much as his other releases. This is widely regarded as his best, and I think it's the daring aggressive sound that hit harder and more intense than his previous releases that make people hold it so high. 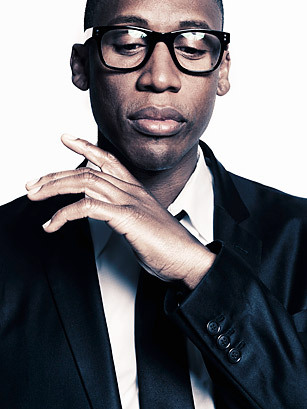 Songs like the title track, "Good Man", and "The Answer" were solid and the album was successful, giving him his highest charting appearance in his career, leading to big time performances on shows like Dancing With the Stars and other late night programs, including securing a TV commercial with Toyota. It was a late career resurgence for the legendary singer, who just recently turned 50. The Way I See It and Stone Rollin remain his two most important solo albums, but after Stone Rollin released, he took a break and hasn't put out a solo album since. He's kept his guest appearances scarce, as he's only had a few appearances on albums from Rick Ross, Kid Cudi, and Big K.R.I.T. since the 2010s started. While Raphael hasn't been as busy musically in the public eye for the last few years, one would assume he's in waiting. Waiting for the right time. The right moment. And I guarantee you he will come with something fresher while sticking to his homage to the classics. I can't wait to hear what's next. Maybe a Tony Toni Tone reunion tour? Lucy Pearl reunion? Time will tell.